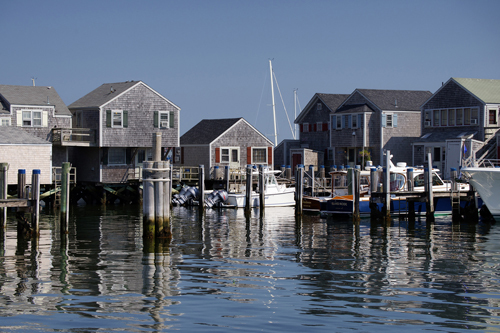 Nantucket Town is about as traditional New England as it gets – grey shingled buildings line the cobblestone streets, ice cream parlors and general stores flourish and there is not a traffic light in sight. Add Victorian-appareled carolers, hot cider and cornbread, and Santa Claus parading down Main Street and it reads just like the pages out of a storybook. 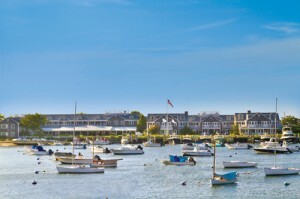 Several Nantucket Island Resorts properties are open for the Stroll Weekend, including the historic and centrally located Jared Coffin House, the iconic White Elephant, The Cottages and Lofts at the Boat Basin, and the luxurious White Elephant Hotel Residences. 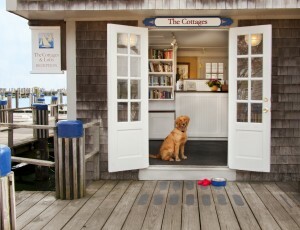 These properties offer a variety of cozy accommodations for visitors to the island. The Boat Basin greatly reduces dockage fees during the late summer and early fall. From September 6-22 rates start at $3.50 per square feet, and from September 23-October 31, rates are as low as $2.00 per foot. Minimum footage requirements are waived completely during this period so that all boats, big or small, can enjoy savings of up to 42%! The waters surrounding the Boat Basin are host to the highly sought-after and mouth-watering Blue Fin Tuna. Head out from the Boat Basin on a two-hour cruise to catch as many Blue Fin as you can! Fishing, sharing stories, and enjoying the beauty of Nantucket is what has made this tournament such a blast for years. Not to mention, the weather on Nantucket in September is close to perfect! This all-inclusive, competitive catch-and-release tournament is two days of fishing for Bluefish, Bonito, Striped Bass, and Atlantic Bonito/False Albacore. To get a “Slam,” one must catch three of a designated species in the same day. All proceeds benefit the Cystic Fibrosis Foundation. October 1 marks the start of the family scallop season on Nantucket. Bring your push rakes, waders, snorkel masks, flippers, and wetsuits for a day full of scalloping fun. At night, feast on your fresh and delicious findings! Thanksgiving is the perfect time to return to the island. The cobblestone streets and festive decorations that fill this quaint New England town are the perfect start to your holiday season. Nantucket Island celebrates with Nantucket Noel, a month-long festival organized by the Nantucket Island Chamber of Commerce that runs November 25-December 31. The highlight event is the Annual Christmas Stroll Weekend. Stores, shops, and restaurants open their doors for holidays shoppers, carolers sing favorite holiday tunes, and Santa Claus arrives via a Coast Guard Vessel. Afraid the Easter Bunny won’t know where to find you if you’re away? We guarantee he’ll be drawn to these great Easter celebrations, so pack those bags and get ready to eat some jelly beans and chocolate eggs. Whether near (Nantucket, Washington D.C., Toronto) or far (Paris, Provence, Moscow), these spots are perfect to ring in the spring. 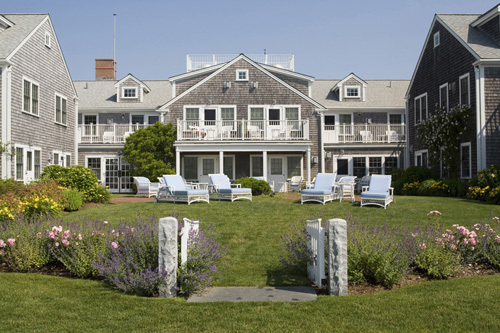 Easter Happenings: Amazing rates at each of the properties over Easter Weekend – and a delicious brunch at the Brant Point Grill featuring Easter Basket Workshops and Egg Hunts! 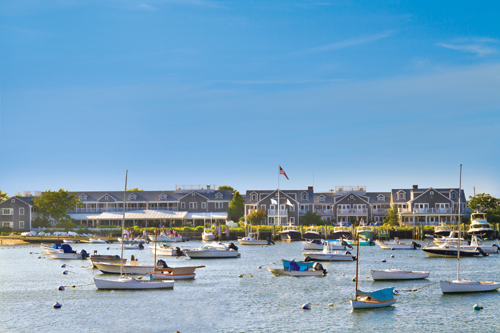 The Offer: Spend a great family weekend on Nantucket with plenty of amusement for the little ones. The following will be happening at the White Elephant. For event and brunch reservations, please call 508.228.1320. Subject to availability. Excludes room tax. A tony Washington DC design and foodie favorite in the fashionable West End Georgetown neighborhood. Easter Happenings: A three-course, buffet-style brunch from 10:30 am to 3:30 pm. Highlights include sunnyside eggs with cod cakes and spicy buttermilk sauce; roasted leg of lamb with rosemary jus and shallots; local rockfish with pea sauce and morels; and Belgian Liege waffle with Mountain Huckleberry Marmalade. The Offer: $90 per person and $45 for children between six and 12; children under six years of age are welcome on a complimentary basis. Set in fashionable Yorkville just across the street from the Royal Ontario Museum and five minutes from the theater and financial districts, Park Hyatt Toronto offers a contemporary city getaway, with 336 guestrooms and the award-winning Stillwater Spa. Easter Happenings: Relax in comfort with Park Hyatt Toronto’s Awaken at The Park package: overnight accommodations and full breakfast for two in the acclaimed Annona Restaurant. Annona is also offering an Easter Brunch Prix Fixe and an Easter Dinner Prix Fixe. The Offer: The Awaken package is available from Friday, April 22 until Monday, April 25 starting at $208. Three course brunch menu at Annona is $71 per person, while the three course dinner is $52 per person. This impossibly chic and charming hotel is located on the historic Place des Vosges in the Marais. Blooming with life in the spring season, the ivy-clad 54 bedroom Pavillon de la Reine was originally built in the 1600s as part of the Place Royale by King Henri IV. Easter Happenings: Guests are welcomed with a chocolate egg and bottle of champagne upon arrival. Following an egg painting session, kids will enjoy running throughout the private courtyard on the quest for chocolate eggs. The Easter weekend package also includes brunch for two. The Offer: Superior rooms start at 390 euros per night, Junior or Duplex Suite start at €550 ($792 USD) per night. Easter Happenings: A chocolate egg, bottle of French white wine, and a book of the best places to eat chocolate will be waiting in your room upon arrival. 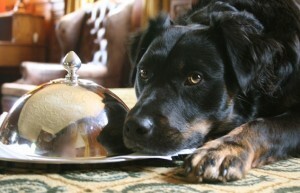 Enjoy brunch for two on Easter morning in the Salon amongst the hotel’s literary greats! The Offer: Deluxe rooms start at €360 ($518 USD) per night. The refined rustic Hotel Crillon le Brave is one of France’s most notable boutique hotels. Just 90 minutes North of Marseille, its consists of seven beautifully restored stone houses dating from the 16th and 17th centuries, which are linked by bridges, cobblestone walkways, and hidden courtyards. Easter Happenings: While the kids participate in entertaining French lessons, learn to make French desserts, and visit a local boulangerie and olive oil mill, parents can enjoy wine tastings and spa treatments. The Offer: The Provençal Family adventure package is offered April 17-22 and April 25-29 and costs €2,290 ($3,297 USD) for a family of four. While “egg hunt in Russia” might inspire thoughts of “finally, a chance to find those missing eight Fabergé eggs,” Ararat Park Hyatt Moscow is offering an even sweeter deal. Built on the former site of Hotel Armenia, this hotel combines classic Armenian and Russian design elements, and is located within immediate vicinity of Moscow’s most famous landmarks, including the Bolshoi Theatre, the Kremlin, Red Square, and Saint Basil’s Cathedral. Easter Happenings: Free chocolate eggs will be given to take home at Easter Sunday Brunch on April 24th. Executive chef Guillaume Joly will be whipping up traditional Easter dishes like kulich, paskha, roasted leg of lamb, and much more at The Park Restaurant. For children, an egg hunt (yes, of the chocolate kind) will take place, with “sweet” prizes to be won. The Offer: RUB 3,900 per person ($138 USD), including VAT and service charges.